*Tools/Templates Available Under Phase and Resources tabs. M3 Framework: Six-phase approach to system and/or service modernizations and migrations including key activities and outcomes for each phase. M3 Playbook: Guidance, tools, and templates, based on migration lessons learned, to help customer and provider organizations successfully adhere to the prescribed Framework and Investment Review Process in order to improve the likelihood of successful outcomes. The Playbook is not prescriptive -- it is guidance for customer and provider organizations to help improve the successful outcomes of modernizations and migrations. Customers and providers are encouraged to tailor the Playbook to leverage their own tools and templates to satisfy the expected outcomes. Investment Review Process: Mandatory formal reviews conducted by an Investment Review Board (IRB) to: 1) evaluate migration risk and make recommendations to customer and provider organizations throughout the migration life cycle to mitigate potential hurdles to success and 2) assess outcomes at each phase and make recommendations to OMB on budgeting for modernization and migration investments. What is the M3 Framework? The M3 Framework segments modernizations and migrations into discrete phases. Each phase includes a series of objectives and recommended activities that should be completed by the customer and/or provider organization based on the phase objectives. Achieving phase objectives, demonstrating adequate planning, and proactively identifying and managing risks within these phases should be adequately demonstrated to the IRB for customer and provider organizations to move from one phase to the next. What is the M3 Playbook? The Playbook was developed to help customer and provider organizations apply the M3 Framework. The Playbook is designed around a series of detailed activities that should be completed within each phase, and reflects lessons learned to help customers and providers better assess and manage risk throughout the migration. The Playbook is not prescriptive – it is guidance for customer and provider organizations to help improve the successful outcomes of modernizations and migrations. Customers and providers are encouraged to work with USSM to tailor the Playbook to leverage their own tools and templates to satisfy the expected outcomes. What is in the M3 Playbook? 1. Activities: Descriptions for how to apply the M3 framework for a modernization or migration, including detailed activity steps, inputs, outputs, lessons learned, and stakeholders involved. 2. Templates: Documents that aid customers and providers in the completion of activities, providing aspects to consider while completing the activity. 3. Guidance: Documents that provide a standard set of expected topics to cover in the document. Templates do not have to be used if a customer or provider organization already has its own template as long as the detail included is the same. How was the Playbook developed? The M3 Playbook was built in collaboration with customers, providers, and industry and incorporates leading practices and lessons learned from prior migrations as seen in Figure 2 below. What is the Investment Review Process and who does it apply to? The Investment Review Process enables the IRB to identify and assess critical risks for CFO Act agencies, through formal tollgate reviews at the end of each phase of the M3 framework, and periodically make recommendations to OMB on budgeting for specific modernization and migration investments. Historically, delivering major administrative service and system modernizations on time, on budget, and on value has been notoriously difficult for agencies. Regularly reviewing these investments will help customer and provider organizations increase the likelihood of success and ensure that the investments adopt the proven principles behind sharing solutions and sharing services. What will oversight look like? An IRB will be responsible for reviewing business cases, implementation plans, and project status throughout the migration for all CFO Act agencies’ FM, HR, acquisition, and grant investments. 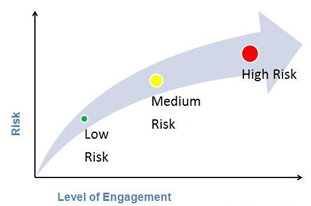 Figure 3: Level of Engagement by Risk Profile The participants on an IRB will be tailored for each investment, but will consist of executives from USSM, OMB (Resource Management Office), the Shared Solutions Governance Board, and Service Area leads with expertise and experience in large scale modernizations and migrations. CFO Act agency Customer and provider organizations will participate in IRB reviews to present recommendations and discuss risks and outcomes. The degree of oversight varies based on the program’s level of risk as determined by the overall USSM Risk Assessment. The overall USSM risk assessment enables CFO Act agencies to self-assess their program’s level of risk using the M3 Risk Assessment Tool. That self-assessment is complemented by an independent USSM assessment, which together determines the CFO Act agency’s overall program risk profile. The level of engagement with CFO Act agencies is commensurate with the program risk profile as demonstrated in Figure 2. Engagement presents opportunities for the IRB and customer and provider organizations to understand progress made to date, assess critical risk areas of the modernization or migration, and identify opportunities to improve successful outcomes based on the sufficiency, comprehensiveness, and reasonableness of organization migration planning and execution. Who will be involved in the Investment Review Process? The table below details the stakeholders who will participate in the Investment Review Process and their responsibilities. CFO Act customers and providers will participate in tollgate reviews to present the business cases, implementation plans, and project status.